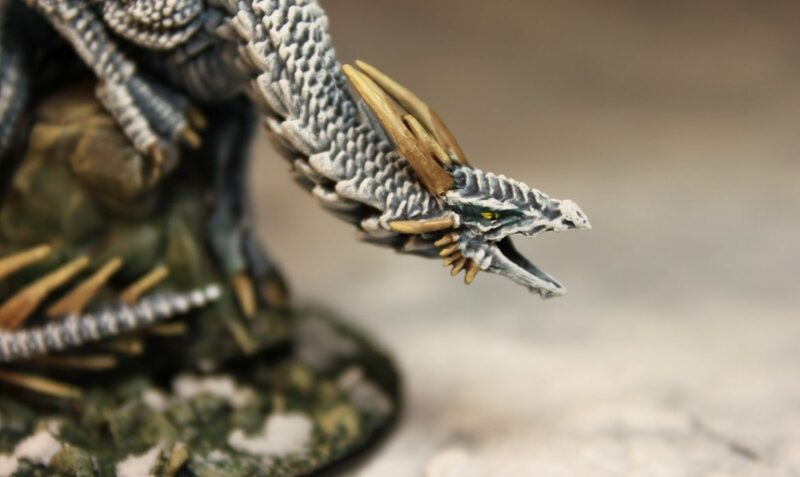 In our 2018 campaign, we’ve been running around in a lot of Dungeons, but not encountered any Dragons (well… apart from our Rogue running into a Dragon Whelp). 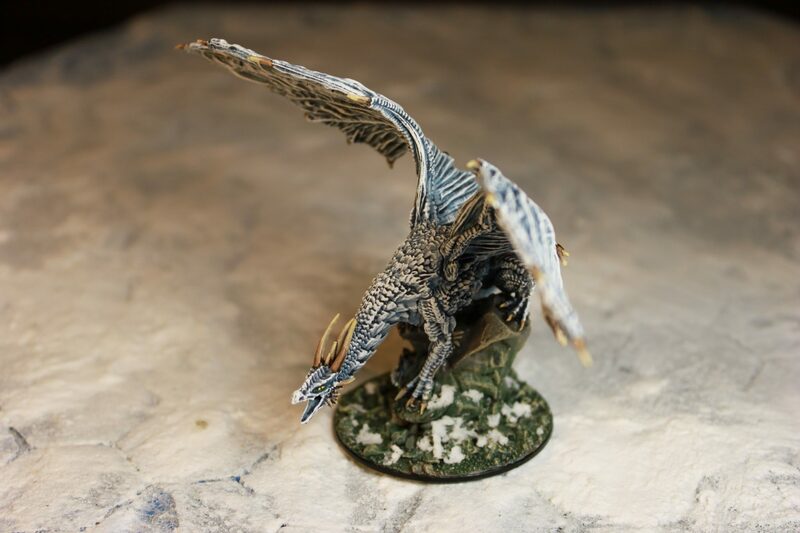 The closest has been an encounter with a Wyvern that brought down an airship, marooning the party on an island. 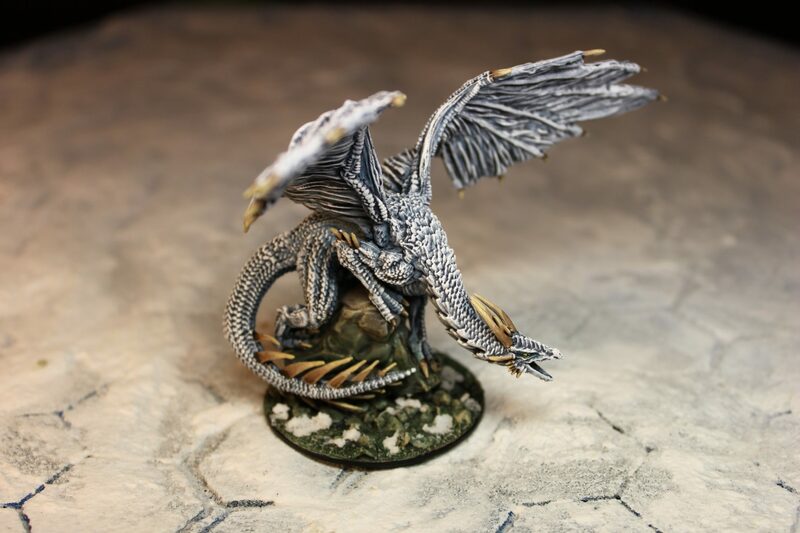 However, I am hoping to change that in 2019 and this cool Silver Dragon from Wizkids worked perfectly as a young White Dragon, which goes well with my Ice and Snow Terrain Board… and it also aligns with an encounter I think may fit where the party is going. One of the things I like about this Dragon is the size. 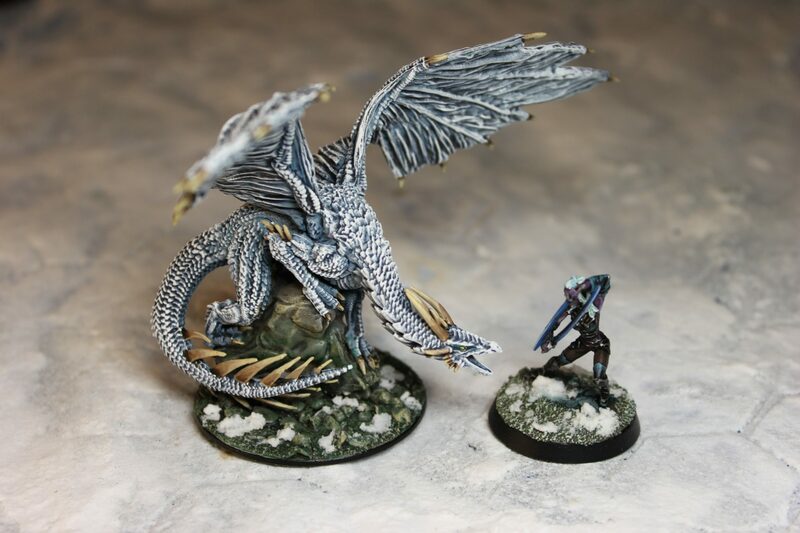 I think it is easy to go overboard with huge Dragon miniatures (Smaug), and they are cool and have their place, but there’s something about this size that makes it more real. 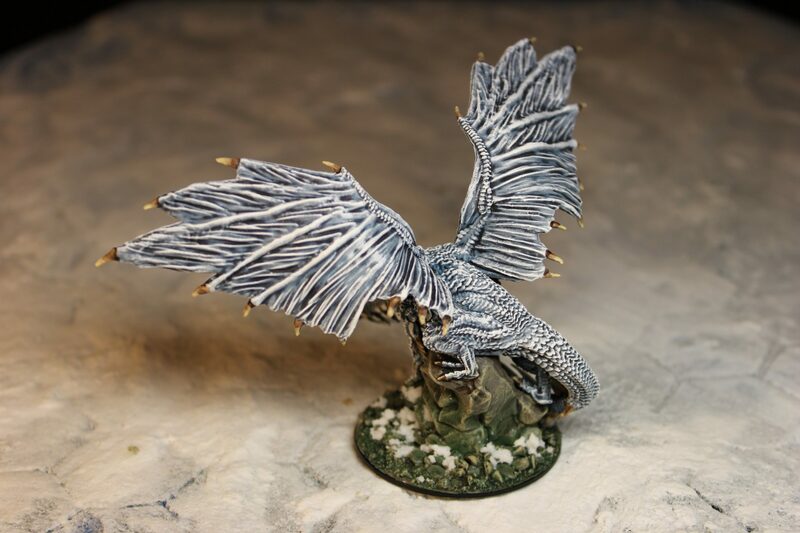 I find it easier to imagine what it would be like to stand next to this Dragon. Try it. Suddenly this monster is rather large and menacing. And finally, I just want to cover the base. 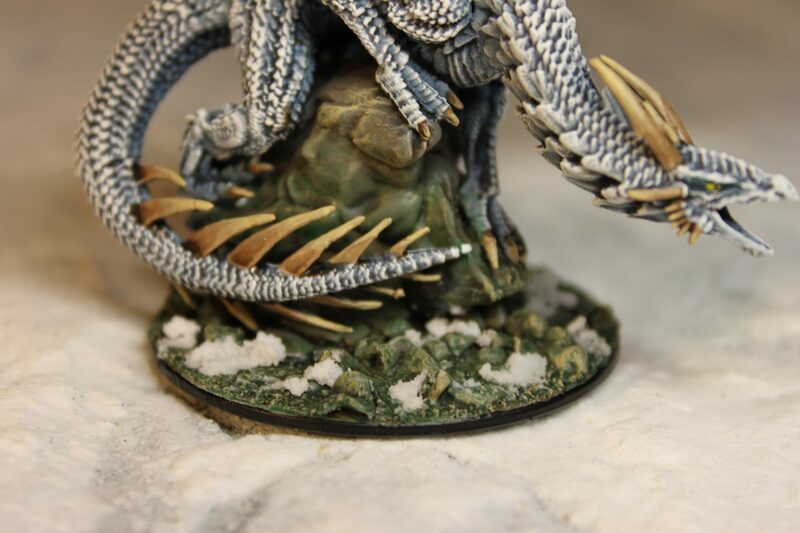 I believe bases are a part of the overall miniature and how you treat it should convey the feel and emotion of the overall miniature. 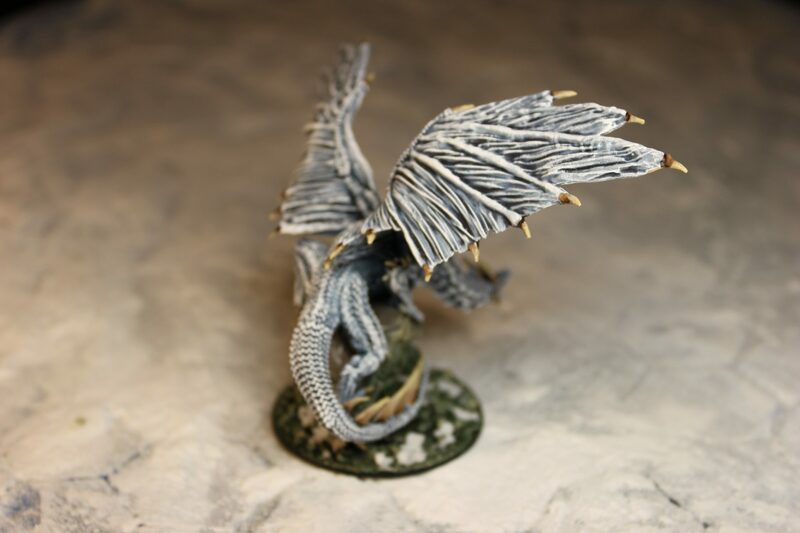 However, with something as monochrome as a White Dragon, it is easy to fall into the trap to make the base all winter and snow. However, what you end up with is a situation where the miniature and the based blend together. 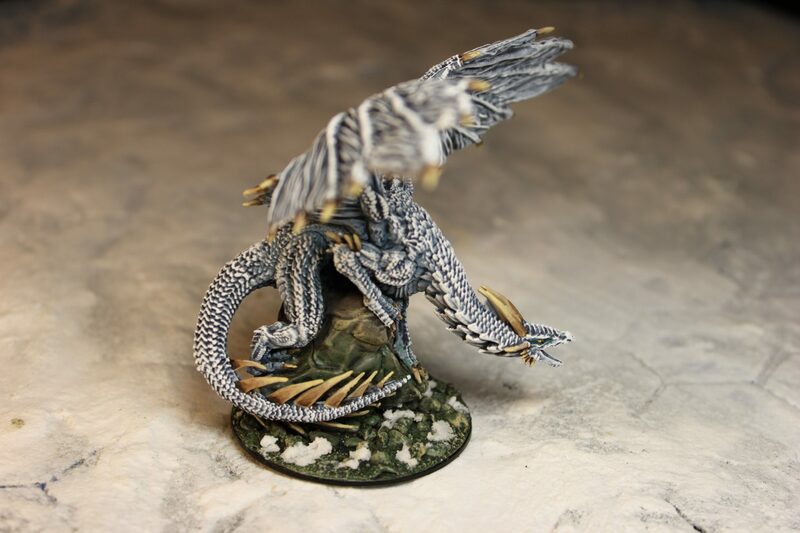 What I’ve opted for here is a base that doesn’t conflict with the overall miniature, but it does standout as it’s own entity. 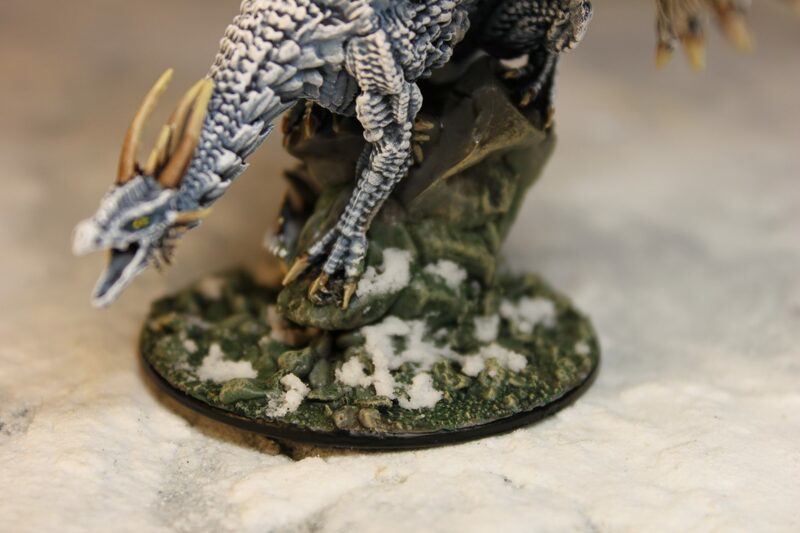 By adding some snow patches, I still align the based with the frosty theme of White Dragons.